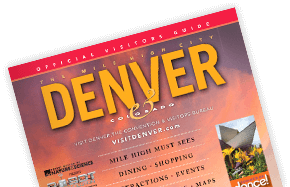 The Denver Eco Friendly Event CO2e Emissions Calculation Tool is an easy-to-use online tool that calculates Carbon Dioxide (CO2) Equivalent (e) emissions that result from your green conference or event in Denver. It covers all aspects of your time here, from air travel to ground transportation to hotel accommodations. After estimating your carbon footprint, you will have the option of purchasing carbon offsets, which help support new green energy efficiency and renewable energy projects geared toward reducing greenhouse gas emissions. Turn your event green and start calculating now! This calculator was developed by Camco. Camco is a leading climate change business that assists organizations worldwide in turning their climate change liabilities into economic, social and environmental assets. Energy consumption information can be obtained directly from utility bills; the Building or Facilities Manager. If actual consumption is not available, an estimate of energy consumed can be derived from the occupied floor area of an indoor venue. It is important also important to subtract any energy that is obtained from a renewable source (e.g. on-site renewables). This information is optional. Please provide the total pounds of waste generated if known or a best estimate. This information is optional. Please provide gallons of drinking water served if known or a best estimate. All emissions have been calculated using the most recent emission factors available at the time of release. A full list of references used by the calculator to assess the emissions from attendee travel and accommodations is provided below. DEFRA 2005 Environmental Reporting: guidelines for company reporting on greenhouse gas emissions. Department of Environment Food and Rural Affairs, London. DEFRA 2007 (Revised) Environmental Reporting: guidelines for company reporting on greenhouse gas emissions. Department for the Environment, Food and Rural Affairs, London. WBCSD/WRI 2006 The Greenhouse Gas Protocol: A Corporate Accounting and Reporting Standard Revised Edition, Guidance and Estimation Tools. World Business Council for Sustainable Development, Geneva and World Resources Institute, Washington. Use our carbon calculator tool to estimate the carbon footprint of your trip to Denver.